Climate, environment, glaciers, water crisis, forestation..... Have you heard these words? A lot of words are spoken on these issues. But only spoken... There is a lot of gap between words and actions. Governments, institutions, organisations, NGOs, associations, international bodies and what not. It seems that everyone is planning to do something - but alas... only planning. Where is the action? We keep listening about depleting forest cover. We keep listening about rising carbon footprints. We keep listening about melting glaciers.. But we don’t see any initiative to stop these. Planning without action is like making castles in air. How long can we continue such exercises? Every time I listen that trees would not be allowed to be cut, I look around and soon find that the government itself has cut trees. The same people, who give a speech for trees, give orders for cutting of trees the next day. I will give an example to illustrate this. In my city, there is a circle called Tulsi Circle. There were huge trees. I was shocked to see that recently all those trees have been cut in the pretext of widening of road (the road was wide enough earlier also). Nobody seems to have protested. Nobody seems to have noticed it. After cutting the trees, the government made the road, then again broke it, then again made it and now again the road has been broken in the pretext of making an RCC road. Environment is damaged, resources are wasted away and when poor villagers demand a road, the government has the excuse that there is no budget. One person remarked it as "Administrative Crime” and said that "it is increasing at an alarming rate and due to nexus between politicians and administrators (for some vested interests), this crime seems to be on increase without any protest". Amidst all these hopeless moments, we have many rays of hopes also. There are people, who are committed to environment, ecology and sustainability - not for just paper work or for "Grantology" (Grantology refers to the tendency on the part of some NGOs to give hype to some issues and get funding from international funding agencies for making lot of noise). I wish to assert that there are some entrepreneurs, innovators, and thought leaders, who are doing something concrete on environmental issues. I have seen some enthusiasts in Inspiration Unlimited also pursuing such initiatives. Recently I have come across Mr. Aayush, who has started EcoHoy to promote environment. 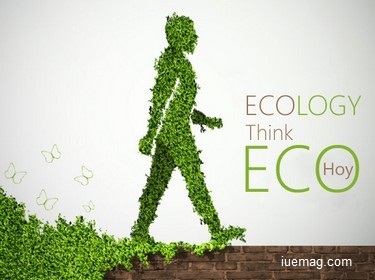 Through EcoHoy, Mr. Aayush is planning to launch a series of products and solutions, which are environment friendly and would have, clear indications of environmental damage caused by those products (if any). He has also started consultancy services to guide companies about carbon credit accounting and about processes for environment conservations. He has also started initiatives for tree plantations for the corporate sector with clearly measurable carbon credits. I was talking about EcoHoy to my student. A student asked me "is it another planning or some concrete action?” My reply was: - "You have seen Calculators made of plastic. But have you seen Calculators made of Bamboo? EcoHoy has introduced it. It is just one example out of hundreds of products that EcoHoy has introduced. It has asked tribal artisans to make modern utilities and products using age old tribal technologies, which are 100% ecofriendly. It is the company which is evaluating every product on its environmental impact"
We have already witnessed enough verbal jugglery and we now need evidences regarding environmental initiatives. EcoHoy is not another NGO for Environment; it is certainly an action based initiative, which will help us in transforming ourselves - not tomorrow but today. Any facts, figures or references stated here are made by the author & don't reflect the endorsement of iU at all times unless otherwise drafted by official staff at iU. This article was first published here on 23rd April 2016.